Last week, Marvel gave us the Captain America: Civil War teaser trailer. With the release of said trailer, featuring a fight scene that will stick in fans' minds until the movie comes out in May, one fan said this superhero friendship triangle needs a little Adele. He took the song Hello and it works perfectly with the trailer. 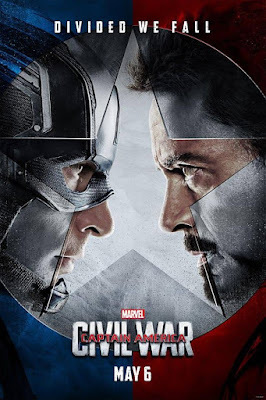 Civil War: After another incident involving the Avengers results in collateral damage, political pressure mounts to install a system of accountability, headed by a governing body to oversee and direct the team. The new status quo fractures the Avengers, resulting in two camps, one led by Steve Rogers and his desire for the Avengers to remain free to defend humanity without government interference, and the other following Tony Stark's surprising decision to support government oversight and accountability.